Will global warming survive a strong La Nina? | Watts Up With That? Will global warming survive a strong La Nina? A global temperature stagnation despite warm El Nino year 2010? The period starts out with a strong El Nino in 1998, however a strong La Nina lasting 3 times longer also has a strong effect on temperature trends starting 1998. Thus removing the 1998 El Nino and 1999-2001 La Nina significantly cools the trends. The overall picture is now temperature stagnation 2002-2010 9 years. The global warming theory generally suggests heating, but one can say that a period of roughly a decade with no temperature rise might be an expected deviation from the general trend. However, things get worse for the global warming idea. Problem is that 2010 in the very end of the shown period is in fact a rather warm El Nino year. And still, the trends 2002-2010 are just… flat. Even now after the warm 2010. As if the global warming idea just barely holds on in the months just after a warm 2010. However, things get even worse for the global warming idea. The powerful La Nina is now showing its strength as we have witnessed temperature dive in the latest months. The NCEP prognoses roughly indicates a further drop of probably more than 0,1 K from dec 2010 to jan 2011. And the La Nina – allthough predticed to weaken during spring time – is by many predicted to match the 1999-2001 La Nina. IF the present La Nina will resemble the magnitude and effect of the 1999-2001 La Nina, how would this affect the temperature trends from 1998 that already seems to have stagnated for a decade? And “Uhh Ohh” whats going to happen if we simulate a 1999-2001 La Nina on the graph starting at 2002?? In this view, we see 12 yeas of strongly falling temperature trends. La Nina is upon us, and that it won’t help the global warming message. If we want to have an answer to this question, typically the year 1998 or 2002 will be the start year of the new stagnating (or falling) temperature trend. The classic alarmist argument is then: But we have had 5 year, 7 year and 8 year trends before without the longer warm trend has changed. So, when we use 1998 or 2002 as start years, and only thereby can read the length of the present stagnating/falling temperature trend, we have to know: This time there are no volcano to blame. And when the result – for example after the La Nina prognosis shown above – may give us 12-15-18 years of stagnating/falling trends – without the help of volcanoes – then this IS something significant against anything we have seen in the last decades of warming. And without using start years 1998 or 2002 we cant tell how many years the falling trend this time is. Therefore its perfectly relevant to use 1998 or 2002 as start years. the 1998 El Nino may have lifted the whole temperature level (perhaps by warming the Arctic) and in this context, it is definitely relevant to analyse using start point 1998. Oh, and since NH is back on the 1990 level, i declare all those “extreme weather events due to AGW” completely irrelevant. Let’s hope Yellowstone doesn’t blow. Or we’re really in the deep mire. I don’t want cold, I want warm. “In this view, we see 12 yeas of strongly falling temperature trends. But Hansen was able to declare total run-away warming with just 10 years of change. From his graph, low point around 1978, to his famous 1988 Congressional meeting. Forget about 30 years to see a climate shift. Grímsvötn along with Bárðarbunga, are the two dominant central vent volcanoes that sit under the Vatnajökull icecap with the five other volcanoes quietly biding their time. Then there are the ever prolific Kamchatka peninsula volcanoes, they seem to erupt at the drop of a hat. Add to that the rest of the ones around the world… well, there are enough out there to ruin your day if the timing gets bad. We did have the Eyjafjallajökull eruption last year, so that may have some cooling influence, unless it was a local phenomenon like the MWP. Dr Hansen’s GISS line on the charts is so, fer shure, like totally bogus. It keeps leaping up, trying to set new records, then dropping back to gather strength for the next attempt. It’s like one of those spawning salmon trying to leap the falls. Thanks for this. Bad news for those betting on yet a warmer decade befalling us. Trends which are so hard to detect are not trends – they are noise. There may or may not be a trend, but if there is a trend, it is so small as to be undetectable. You can choose endpoints to make it go up, or down or horizontal. Why is anybody claiming that there is a dangerous trend here? It is a noisy signal that happens to be a bit higher at some recent points. It is not massively higher and if we look back even further, it has been higher without humans. What is all the fuss about? How is it that politicians and greens both have the same problem, maybe its that there problem is a birth defect, or perhaps its those that have the ability to inquire and question the results that upset the green Utopia. Very interesting data demo. Am currently reading Robert Bryce’s latest book “Power Hungry: The Myths of “Green Energy” and the Real Fuels of the Future.” Given the apparent lack of meaningful correlation between increasing carbon dioxide levels and global mean temperature one can only wonder what “angle” the “green” energy proponents will use to continue to sway political opinion in their favor. If the ratio of El-Nino to La-Nina changed recently from the positive side towards the negative side.Then Global warming is indeed going to stop. But Global Warming has never been global for at least the last 32 years anyway. It has been mostly confined to the Northern Hemisphere since the 1970’s. Forget the volcanos, it is much more interesting to speculate on the explanations the warmistas will come up with to explain the coming cooling (that has already started). This year they came up with warmcool — Europe is cold because the Hudson Bay did not freeze. What will it be next year! What about cumulative effects? Or northern transport theory? There is a good chance of a nor’easter coming up the Atlantic coast and throwing more snow at all the folks on the east coast. This is starting to feel link 1978. For those who have forgotten, there were a couple of big snows that did not melt in 1978 before the blizzard hit. The blizzard would have been just your average severe storm except for the fact that the earlier ones left no place to put the snow. Just some more relevant stuff you won’t see in the next fantasy report from the IPCC. Alarmists revel in El Ninos, as it supposedly proves their point, while La Ninas are either ignored or dismissed as irrelevant aberrations. This post should generate more than the normal amount of rants from the AGW faithful. Please provide links to the web pages of the official government forecast models that predict a repeat of the 1998/99/00/01 La Niña. Also how did you “simulate” the effects of a new multiyear La Niña? Splicing some new wiggles onto the spreadsheet is meaningless without an explanation. Please explain using one dataset. Funny that. On at least three occasions, Eyjafjallajökull has gone off pretty much in conjunction with it’s neighbor, Katla. The idea being that one triggers the other. This lead to a lot of press screaming about a looming catastrophe. Sure, it was bad enough to the air travel industry, but the tie in with Katla deserves a closer look. Humor is where you find it. If the sun’s magnetic field continues to weaken, and we’re entering a repeat of the Maunder Minimum, then another trend would need to be imposed on top of the El Nino/La Nina. It could be much more significant. Hansen would need to make Herculean efforts to “adjust” that sort of cooling away. Doesn’t matter. Hansen and others, the keepers of the sacred data, fiddle with the numbers. So regardless of what nature is doing, they’ll keep fiddling to their benefit. All the global warming is “happening” where nobody lives (like the arctic) so it’s impossible for the average person to know for sure. I hope the drop from now is only to -0.3 before the bounce. It all depends what that big deep mysterious ocean does. I calculate it will bottom out at around -0.32 +/-0.05C towards the end of 2011 according to Roy Spencers metric/ I think it may fall further than that, but it’s only a hunch. When the sun’s activity is low, as in the Maunder Minimum and the Dalton Minimum, does that change the SOI to more of the cool La Nina and less of the warm El Nino? Are there records of El Nino/La Nina going back that far? Interesting post. Although, I like the warm and would not be troubled of the world were to warm, I am looking forward to seeing the extent to which 2011 will cool and what bounce back there will be following La Nina. I think that this will tell us quite a bit, and it is the best prospect of some reality filtering into this debate. One thing is sure, we do not want a volcano eruption since that will confuse the issue. The warmist will argue that the eruption caused the cooling (assuming that 2011 and 2012 will show some cooling) and we will never know to what extent that claim may be correct. We want to be able to witness a natural cycle without some further forcing. This is a neat map to check out on a regular basis, just to see what the GFS computer is up to. Also the “current” map gives you a rough idea of what the global temeperatures are up to. They have really been plunging the past couple of months. as a guest post. It follows logically several items that have been posted recently, and might stumilate some interesting discussion. And for those interested, the post Frank was attempting to link does work. La Nina with the low solar activity will make the next decade interesting to watch. I think there will be some strong cooling for the next ten years. I have read that GISS is the only record that is accurate since it adequately considers what happens in the polar regions, unlike other data sets. I have done some “back of the envelope calculations” to see if this is a valid assumption. I challenge any GISS supporter to challenge my assumptions and/or calculations and show that I am way out to lunch. If you cannot do this, I will assume it is the GISS calculations that are out to lunch. 1. The surface area of Earth is 5.1 x 10^8 km squared. 2. The RSS data is only good to 82.5 degrees. 3. It is almost exclusively the northern Arctic that is presumably way warmer and not Antarctica. For example, we always read about the northern ice melting and not what the southern areas are gaining in ice. 4. The circumference of Earth is 40,000 km. 5. I will assume the area between 82.5 degrees and 90 degrees can be assumed to be a flat circle so spherical trigonometry is not needed. 6. The area of a circle is pi r squared. 8. The area in the north polar region above 82.5 degrees is 2.2 x 10^6 km squared. 9. The ratio of the area between the whole earth and the north polar region above 82.5 degrees is 5.1 x 10^8 km squared/2.2 x 10^6 km squared = 230. 10. People wondered if the satellite record for 2010 would be higher than for 1998. Let us compare these two between RSS and GISS. 11. According to GISS, the difference in anomaly was 0.07 degrees C higher for 2010 versus 1998. 12. According to RSS, it was 0.04 degrees C higher for 1998 versus 2010. 13. The net difference between 1998 and 2010 between RSS and GISS is 0.11 degrees C.
14. If we are to assume the only difference between these is due to GISS accurately accounting for what happens above 82.5 degrees, then this area had to be 230 x 0.11 = 25 degrees warmer in 2010 than 1998. 15. If we assume the site at http://ocean.dmi.dk/arctic/meant80n.uk.php can be trusted for temperatures above 80 degrees north, we see very little difference between 1998 and 2010. The 2010 seems slightly warmer, but nothing remotely close to 25 degrees warmer as an average for the whole year. Readers may disagree with some assumptions I used, but whatever issue anyone may have, does it affect the final conclusion about the lack of superiority of GISS data to any real extent? The poly trends all appear to have peaked around 2005, especially when they’re all grouped together. I would strongly suggest that you stop using poly trends to imply future changes in temperature. How many times could a local prophet be wrong before the townsfolk took him off the payroll? Ma and Pa Kettle can read a thermometer and they can see the ocean. I cannot imagine they much appreciate an army of government funded “scientists”, being paid for with their tax dollars, telling them they’re about to burn up and die if they don’t drown first. Actually I think your poly trends for the future are spot on. By the way, thanks for all your solid work. The graphs are interesting, but like the AGW proponents, it is too much reliant on simulations. Interesting speculation, but not data. La Nina is natural variability – El Nino is climate change. Above-average rainfall is natural variability – below-average rainfall is climate change. Cold extremes is natural variability – heat extremes is climate change. Deadly wildfires are climate change – deadly floods are climate change…..? what – woops, hang on I’ve got myself confused now!! Oh heck – let’s just say every weather event is our fault and be done with it. “One of the strongest La Niña events on record ” 19 Jan 2011. Bob, this article is not a debate exactly of how strong the coming Nina will be of what type etcetc. The 1999-2001 La Nina was not one of the strongest La Nina on record but in stead it was a longer duration. I coud have chosen the 1988-89 in stead. The point is that a strong La Nina now certainly prolongs the period of missing heat in the temperature trends for years. This to say: The type and strength of the coming La Nina is a serious challenge to the AGW. I did not forecast temperatures using Hadcrut temperature history or similar. I thought this little graph project was very interesting. What the author did is start with Warmista graphs and construct his own graphs. What the author is doing is projecting new graphs from old graphs and his conjectures. That’s better than the Warmista. Because Warmista do no more than project new graphs from old graphs and they manufacture their own data. None of it is prediction. No one has a set of physical hypotheses describing all the relevant features of Earth’s atmosphere, ocean, and land that would permit the needed predictions. True, I predict nothing, I show how trends will react to a La Nina impact like 1999-2001. And obviously the odds that the coming La Nina will be exactly the same type and duration as the 1999-2001 La Nina is zero. Therefore the message here is neither quantitative precise nor a prediction. I simply show that a strong La Nina will give AGW agenda real problems. And this I find relevant. This may be beyond any La Nina you have ever seen due to the vast amount of water vapour being produced from the warm waters in the Arctic. Currently, almost of of the land mass in the northen hemisphere is in cloud cover. Let me rephrase my question: Who are the “many” who predicted the current La Nina will become a multiyear La Nina that lasts as long as and is as strong as the 1998/99/00/01 La Nina? Your “Simulated 1999-01 La Nina” graph depends on the “many” who made that prediction. Again, who are the “many”, Frank? And please provide links to the predictions of the “many”. Also, you failed to reply to my other question: Also how did you “simulate” the effects of a new multiyear La Niña? They write on page 30, “La Niña is expected to last well into the Northern Hemisphere spring 2011.” That’s as far as they are projecting. To expect the Warmists to abandon their theory of catastrophic warming simply because the data says there is cooling, would be to completely misunderstand the mindset of these people. What simulations? Frank Lansner appears to have spliced the effects of a former multiyear La Nina onto the current one. He claims there are “many” who predict a multiyear La Nina, but so far he’s provided no documentation of the “many”. While I have not yet heard claims that La Nina is caused by Global Warming, I did hear just last Friday on ABC-TV News that this cold winter was caused by Global Warming and that we should expect to see similar winters in the future because of Global Warming. My opinion is that no matter how cold the weather becomes, it will be claimed by “Climate Experts” that it is caused by Global Warming. They have NO SHAME! NIWA in their state of the climate report refers to the IPO (interdecadal pacific oscillation) that when negative is dominated by LA Ninas in frequency and strength. They claim it turned negative in 2000 and if similar to the 1947-1977 negative IPO should run for another twenty years. They also point that this is the opposite of what climate modelers predicted. This with twenty more years of negative NAO in the northern hemisphere, negative PDO, declining AMO and a sun that has been declining since 1990 and we should have some significant global cooling. One of the strongest La Niña events on record continues to influence the climate of the Pacific Basin. Climate indicators of ENSO, including tropical cloud amount, the Southern Oscillation Index (SOI), trade winds and Pacific sea surface and sub-surface temperatures, all remain well in excess of La Niña thresholds. Most have exceeded these thresholds since the middle of 2010. The average August to December SOI (+21.1) has only been exceeded by the La Niña of 1917-18 (+24.4), with the 1975-76 La Niña value (+18.8) ranked third. Several other indices also suggest the La Niña events of 2010-11, 1975-76, 1917-18, 1955-56 and possibly 1988-89, rank closely in terms of the strongest events on record. Franks little essay is a conjecture OF INTEREST. He made no claims of predictive ability. Franks only claim is that if this La Nina continues, it will be interesting to see how warmists will spin the falling temperatures. This is an essay of interesting conjecture only, not meant for journal publication. No need to get picky about fine details. Serious scientists need not comment. The rest of us will have fun discussing this WHAT IF conjecture. Your analysis is interesting, but we’ll certainly have to wait for the full decade of 2010-2019 to see what how the true longer term trend is affected. We have a combination of events that must all be factored into the equation, not just the ENSO cycle. The long and deep solar minimum must also be factored in. So it will be interesting to see how the next few years shape up. How strong will the next El Nino be and how will it line-up with Solar Max 24 (no matter how weak)? Also needed to be factored in here will be the alignment and effects of the PDO and the AMO in particular. If they both turn cool as well, it would add another layer of cooling. Let’s assume then, even though the decade of 2000-2009 was the warmest on instrument record, that somehow the decade of 2010-2019 shows no warming and AS A DECADE is cooler than 2000-2009, but warmer than 1990-1999. What would this tell us? What if, on the other hand, with all the short term effects mentioned, ENSO, solar, PDO, AMO, etc. that somehow the decade of 2010-2019 turns out to be warmer than the decade of 2000-2009? This would certainly be a tell us a lot about the power of the longer term CO2 forcing. Really, we’ll just have to wait until 2019 is over to draw any conclusions. As it stands right now, 2000-2009 is the warmest decade on record, despite a long and deep solar minimum during the 2007-2009 period on top of a nice La Nina during that same period. Lets loosen up on these graphs. They make us all liars. Lets use a constant range for the anomaly of +- 2 deg C so that we can see a meaningful statistically significant change bumping into the upper or lower bounds. All the rest of this is just graphing the noise in the signal. I’m actually a little surprised at the intensity of this La Niña. But at the same time, I’m also surprised by the the high latitude blocking in the NH. I think La Niña is actually a product of a warmer world driven by a stronger sun. A stronger sun means less clouds anyway… that extra solar energy reaches the tropical Pacific and enhances the walker circulation, thus increasing trade winds. Cold water pools up from below. Some reconstructions of Pacific Decadal Oscillation data (I think the PDO is poorly defined… I do not believe there are regular 20-30 year PDO cycles) show the index being very very low around the time of the MWP. This would be consistent with the strong sun/strong and frequent La Niña regime. Remember… the desert southwest and Mexico would have dried out significantly (which led to the downfall of the great civilizations there). I have no doubt that the persistent strong La Niñas were interrupted by great El Niño events that wreaked havoc across the globe… but these were probably relatively few and far between. From the records we have… the weather wasn’t so much warmer in the MWP as much as it was more consistent. England tended to have warmer, if drier summers… but the weather tended to cooperate while the winters were mild and wet. This indicates a La Niña (-ENSO) +NAO/+AO regime… not unlike the super Niña of 1988/89. When the Little Ice Age began, it wasn’t like weather got consistently colder. It was colder on average, but it was also much more inconsistent. Some summers were warm with plentiful rain in England while others were cold and miserable with frosts that caused famine. El Niños, though weaker, would become more common as less solar radiation increased cloudiness. This would slow the trade winds and you’d get El Niño conditions. Remember that often times after major tropical volcanic eruptions where solar radiation is reduced around the tropics, El Niños tend to form. Look at 1963/64, 1982/83, 1991/92… even as the globe is cooling, many traditionally cold areas see a mild winter. Other than the famous Halloween storm in October/November of 1991, that winter was mild here in northern Minnesota. The summer of 1992, however, was the coldest ever recorded (until 2004). So, I think atmospherically speaking.. I’m perplexed by this incredibly strong La Niña with low solar activity. 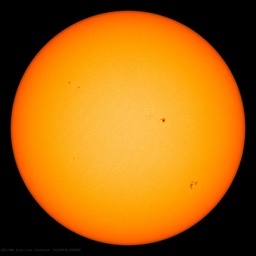 I guess the only partial comparison is the 1973-1976 event that occurred during a period of lowish solar activity. That wreaked havoc on Australia like we’re seeing now… but we didn’t have nearly the atmospheric blocking and the eastern U.S. was very mild. I think we’re in a period of unprecedented weather… at least what we have recorded. North Korea is Mordor run by Gollum…. I just got a Life Magazine from 1963, which was up to that time, considered the coldest year in the century. They showed a weather pattern that we now recognize as a strong La Nina. It snowed significantly in Sicily that year. This was at the time that speculation began about the renewed ice age. What if, on the other hand, with all the short term effects mentioned, ENSO, solar, PDO, AMO, etc. that somehow the decade of 2010-2019 turns out to be warmer than the decade of 2000-2009? This would certainly be a tell us a lot about the power of the longer term CO2 forcing. If 2010-2019 is warmer than 2000-2009, that is all it tells us. The CO2 theory is just that – a Theory or a model. When the CO2 warming is measured, I will agree. Re 2000-2009 being the warmest decade on record – yes, you can adjust temperatures (GISS) to make any decade warmer or another cooler. I refer you to Watts’ and DAleo’s report discussed last year. What I want to know is, how is the combination of La Nina, and this weird sun spot cycle, going to affect NA growing season? you don’t really think facts and numbers matter any more, do you? Actually, Frank, after the 2010 VEI’s are posted there could easily be ten VEI-4 since May, 2008. The link I posted above leaves out many of the 60-80 eruptions a year for the last decade and a half. 1) The NOAA ENSO update only goes to spring. That’s as far as their forecast goes. 2) That does *NOT* mean the end of La Nina. Just that they’re not forecasting beyond the spring. > major peak will be late 2014. Let’s stop all talk of ‘carbon taxes’, ‘cap + trade’ and other similar instruments of gross government intrusion into what’s left of the free market. Let’s dispense with the IPCC, the myriad of taxpayer funded climate research set-ups, the taxpayer funded jaunts to exotic tropical locations etc., in fact let’s halt all tax-funded ‘climate change’ research except for the only reliable instrumental series viz. UAH/RSS. You are as completely biased in your own circular “reasoning” (and I use that word in quotes) as some of the worst actual scientists who come to the same conclusion. Explain how you intend to demonstrate and show scientifically (hell….why don’t you submit your own feature post) the “power of the longer term CO2 forcing”, R Gates? But I know you won’t be that foolish because it will be sunk at the starting gate. I laugh when I read that El Nino and La Nina are short term effects. When the Southern Oscillation Index (SOI) is persistently below 8, we call it an El Nino. It affects global climate, especially Australia and South America. When the SOI is persistently above 8, we call it La Nina. It affects global climate, especially Australia and South America. When the SOI is between +8 and -8, we call it Neutral. It affects global climate, especially Australia and South America. So, can somebody tell me when DOESN’T the SOI affect climate? or put another way, is there a period when the SOI doesn’t exist? The SOI ALWAYS affects climate, therefore it is a PERMANENT feature of the planetary climate, NOT a temporary one at all. Night time is only temporary as well, it’s just that it’s been happening for 4.5 billion years. Its a little different what the pronoses say, as you must be aware, but it is “consensus” that by summer timer the La Nina has weakened. However we are talking about temperatures, and the temperature effect – as you know – appears typically 3 months or similar After Enso peaks. Therefore the peak of La Nina in temperature might first show up this summer. But Bob, its not ME who suggests this La Nina will be extraordinary, im not the “wizzard” at all, do not claim to be. I just say “IF these La Nina claims are true (why not?) THEN this will add years to the length of the temperature stagnation/deline period”. If yo dont find that thought interesting, fine with me. Our ability to predict precise temperature prognoses the next 3 years is poor, so your digging in methodic etc. apeears not relevant. I just tell the true message: Any large La Nina effect after these years of stagnating temperature will make warming wait for a long time. I think Baa Humbug puts it well in hes comment above. Perhaps everyone would best be served by calling spades spades and hearts…well, hearts. If the write-up is intended as speculation, it isn’t analysis based upon facts, but rather guess work based upon what-if scenarios. I don’t think the write-up was intended to be heavy-duty, factual analysis. I do think the objection to lack of citations is due to the write-up being somewhat misleading even though well-intentioned (the write-up looks and feels almost factual). To be clear, I enjoy speculation. Perhaps, being a blog post, we can note the short-comings and accept the less-than-scientific aspects. …is a product of the NOAACFS Forecast of Seasonal Climate Anomalies for Feb 2011 to Oct 2011. My original request of Frank at January 23, 2011 at 12:48 pm was, “Please provide links to the web pages of the official government forecast models that predict a repeat of the 1998/99/00/01 La Niña.” Your link doesn’t qualify. And thanks for the link to your prediction, but one person does not constitute “many”, and I don’t believe you qualify as an official government forecast. Global temperature trends over 5, 8, 10 or 12 years are meaningless. Short term variations dominate over these timescales. Now what is the problem with that simple statement, that makes it so hard to grasp? How long will it be until the next absurd post here that tries to draw absurd conclusions from a few years of temperature data? Or says that because it was cold somewhere in the word last week, then global warming isn’t happening? – then its not strange at all that we say: “What if this is true?”. Stevo, any kind of strong La Nina now – as predicted by NASA and BOM – may very well extent the period of lacking warming significantly longer than the intervals 5-12 years that you for some reasen refer to. Thats the point. Please use correct numbers. Surely the opposite would be a better option? 2020 may be a little late. Shifting to a low carbon economy will create more jobs and a cleaner future. If CO2 is indeed a problem (and you said you don’t know) then don’t you think it’s a little risky waiting until 2020? ‘Free market’ is also a little disingenuous don’ t you think? We have subsidies supporting half our agriculture, industry, interventions to save the banking system and bent politicians pandering to the whim of corporations. If we stopped government intervention, the system would collapse in minutes. Mac, your point is very central and I respect this angle of things. I am myself supporter of Windmills and any kind of green technology. So, if the political wishes where simply to do the obvious: Accellerate knowledge of alternative energy forms (even cold fusion), then I think that the general resistance against AGW would be small. But some politicians go much further than this. To be truly “green” we simply have top know whats going on, if CO2 is a hasard or not. Our wealth is limited, and everything we spend money on is a priority. Believeing that CO2 creates dangerous warming on the planet Earth will lead to use of energy and wealth LESS than optimal if CO2 is not really a concern at all. Its NOT green to waste wealth and energy on CO2 if there is not something really backing up on the CO2 hypothesis. But, Mac, if there was just a tiny case for dangerous CO2 warming, i would be on your team. In real world, the dangers of cooling – to me – is far more convincing. Therefore, pumping CO2 into the ground etc is HOPELESS in every way. If you want to “play it safe” : prepare for cooling. Both cooling and warming suggests more and better energy forms, and thus on this particular area of the debate we agree on. Frank Lasner recognizes that ENSO events cause noise in the data and can pull the trend one way or another. But, if you remove extreme events at the beginning of the time series, what about those near the end? The 2008 la Nina was very intense. As it fell in the latter few years of data, it will bias then trend downwards. This begs the question about choice of criteria. The la Nina following 1998 el Nino was half as intense but twice as long. The 2008 la Nina endured for about as long as the 1997/1998 el Nino, and more intense than the 1999/2000 la Nina. Choices should be distributed evenly or bias will ensue. I think the effort above is the beginning of a more complete job that could wipe out the ENSO variability completely, revealing any underlying trend. Otherwise, selecting just a few years can amount to cherry-picking, even if not intended. For example, I could pick an intensity level at +/-1.5 on the MEI index, and simply take out the ENSO events centred on that value. This includes 1998 and 2008, but not 1999, 2000 or 2001. (Interestingly, 2010, makes the cut in both signs: el Nino at the beginning of the year, and la Nina towards the end) I now have some sort of system consistently applied. If I then plotted a trend from 1996 to present, I expect there would be a clear warming trend. Same if I plotted from ’97, ’98, ’99, 2000…. as long as the data centred on 2008 were removed, the trend would be warmer. But I’d be asking myself if it was reasonable to omit longer events that didn’t meet my intensity criteria? Whatever is done must be done systematically. The above effort seems a little arbitrary. There is still noise (ENSO events) at other points in the record to consider. The best thing to do would be to remove ENSO entirely. As it happens, Tamino did that recently. I’d post the link, but I’m not sure that’s allowed. I’d be very interested to see his work independently audited here, and call on anyone with the skill to do so ( I don’t have it) to replicate and compare. Alternatively, I encourage on Frank Lasner to apply his choices systematically (which would include cutting 2008 la Nina) and see what the results are. As far as I can make out, his choices is ‘omit the ENSO events at the beginning of the time period so neither effect the trend’ – but that leaves potential for ENSO to bias the trend elsewhere in the time period. The next effort should name the criteria for omitting ENSO data and follow it all the way through the record. This is very true and relevant. A graph where you take out ENSO is sensible. A graph where you take out volcanoes is sensible. A graph where you take out solar effect is sensible. A graph where you considder PDO, AMO, AO NAO to some degree is sensible. A graph where you considder UHI and siting problems is sensible. What I’m saying: I agree. And the outcome of these analysis are relevant. But i think the outcome is VERY much dependent on what scientist make the corrections that are relevant. Therefore a RAW look at trends is relevant too. If factors like ENSO, PDO, Sun etc etc does not support the models… then the models were wrong. So, a graph “correctly” adjusted is a subject to many viewpoints allthough the idea is good. Frank Lansner: Your January 23, 2011 at 11:23 pm reply does not address any of the questions posed to you by me on this thread. Should I then assume that you cannot answer them? Baa Humbug says: “This is an essay of interesting conjecture only, not meant for journal publication. No need to get picky about fine details. Like his most recent post here at WUWT about UAH and UHI, it’s contrived and misleading. What are we to do with people who just don’t listen to reason? Trying to find a trend in the last 10-12 years is like trying to find the warming trend into spring from the last 10-12 days. If it is colder next week than this does that mean the increased energy from the longer day is NOT causing seasonal change? No matter what we say the future of the CAGW movement depends upon warming. If we have another 5 or more years without warming or if it even cools the funds for climate research will die out and attention will shift to other areas. The PDO is predicted to be negative for the next 10 to 20 years which will say “Hasta la vista baby” to the CAGW dogma. We have records of the PDO since 1900. A positive PDO means more El Nino’s than La Nina’s and a negative PDO means the opposite. From 1940 to about 1978 the PDO was negative and it cooled. The chicken littles wrote Newsweek about global cooling. From 1978 to 1998 the PDO was positive and it warmed at a rate of 1.2 ° C per century. From 1998 to present the PDO has been both positive and negative and the temperature went sideways. If you look at the graph you can pick out cold years which were caused by El Nino’s. Here is a handy chart of El Nino’s and La Nina’s from 1950 to present by months . Pull it into Excel and graph it and it mirrors the PDO. Bob, I seek to answer the most relevant and interesting questions. So you somehow managed to think that I used those to “imply future changes..”. Its not that you cant ever point some detail out that might have been better in some other way by me in my writings. With your effort it would be strange otherwise. The problem is all the fatamorgana errors you keep claiming out of the blue or just with miniscule impact on the topic in question. They are far to many. No, every year we will learn more and more. I suspect we will know all we need to know within the next two years. Remember the AGW conjecture is like a compound interest. It should be building on itself. Also note, the claim is that AGW overpowers all other forcings. Hence, a flat or cooling climate each year lowers the probability that the conjecture is correct. I suspect what we have seen over the last 12-13 years already tells us AGW is a bit player among stronger natural variations. Some people just take a little longer to be convinced. This is very true. I have NO way of guestimating what exactly the next La Nina will look like. Will it be superior to all other La Ninas as some suggests, i dont know, but it is very relevant to be aware what the consequences of a strong LaNina will be. There is both the scientific dimension and a political dimension as to what consequences even longer period of no-warming in trends will result in. A poster above asked why 1998 to 2010 temps were record highs while the sun was headed downwards. This is because of the thermal inertia of the oceans and the bottom up transfer of heat to the atmosphere. Ice core solar proxy temperature reconstructions suggest a twenty year lag between solar changes and global temperature changes. While ENSO changes are bottom up changes with relatively short time lags it is becoming clear that the NAO is a top down climate driver caused by UV, ozone changes in the stratosphere due to a changing sun. I predict this La Nina is just the beginning of a decades long decline in global temps. This is the first La Nina that begins twenty years past the beginning of the current solar decline. Today UAH ch 5 temps are 1.12 degrees f below this time last year. Ten years from now activists will be promoting the burning of coal to warm up the earth. How this works is that the AGW scientists will quickly jump on board with the solar driver concept. They will maintain that there is co2 forcing but it is now being swamped by the solar which was previously underestimated. Lockwood in the paper I referred to above was a solar sceptic but has now jumped on board. He still only accepts that the sun is affecting the northern hemisphere. The negative NAO, harsh European winters and unexpected solar decline has changed everything. The climate industry is driven by a herd mentality and nobody wants to be left at the station. Mr. Tisdale, are you in love with Mr. Lansner? Wow if this circus ends soon, sounds too good to be true…. ? Even arch AGW cultist Michael Mann was on NPR a few days ago talking about the Roman warm period and how it was driven by the sun. Frank Lansner: Regarding your January 24, 2011 at 9:27 am and January 24, 2011 at 9:49 am replies to me, you still have not answered the very basic questions I asked you about this post. The first relevant thing I asked in my January 23, 2011 at 12:48 pm comment was, “Please provide links to the web pages of the official government forecast models that predict a repeat of the 1998/99/00/01 La Niña.” I repeated the request in my January 23, 2011 at 5:10 pm comment. Since you have avoided these requests, I will assume you know of no official forecasts or predictions for a multiyear La Niña and that your statement in the post (“And the La Nina – allthough predticed to weaken during spring time – is by many predicted to match the 1999-2001 La Niña.”) is fiction and that the “many” predictions do not exist. The second very relevant question I asked was, “Also how did you ‘simulate’ the effects of a new multiyear La Niña?” The reason I asked, it appears that all you did for your “simulated 1999-2001 La Nina” was to cut and paste the data from 1999-2001 to the future period of 2011 to 2013, without considering the relationships of the former and present NINO3.4 SST anomalies and the respective global temperature anomalies. In other words, you gave little thought to this and labeled it “simulated” to give it credibility. It’s already a strong La Niña, and global warming has survived, or haven’t you noticed to proclamations of record temperatures for 2010? But the point was, there are no “La Niña claims”. You fabricated this. Baa Humbug used the word “conjecture” three times in one of his earlier comments. Like your past posts, you misled your readers and misrepresented what you presented. Here you misled them with a fabrication about “many” predictions of a multiyear La Niña, and you misrepresented a simple cut and paste of data as a “simulation”. And for some reason, you become upset when I call your posts nonsense. was not important? Please just write important things when you demand me to use time on all your comments. So theres not some ridiculous detail here you can shoot down, sadly. As I have repeated also, there is no way we can no for sure how the NASA and BOM predicted extraordinary large La Nina will run from hereof, and I have written that I could just as well have pasted the very strong 1988-89 La Nina, and outcome would be similar: A prolonging of the non-warming trends. So your intense focus that I pasted in one La Nina and not the other is irrelevant. Bob, If I had concluded “Oh, and as I expect a 1999 magnitude and type La Nina, then the slope of UAH for the next 17 years would be -0,02736 K /decade” or something QUANTITATIVE precise, then your protests would appear more relevant. On official list over the top 4 -5 strongest la Ninas since 1900, the 1999 La Nina does not appear And NASA/BOM believes we will perhaps se a MORE powerfull La Nina than anything seen so far. Therefore my choice of the 1999 La Nina was ment as a conservative choice. If I had found info on the MUCH STRONGER1917 La Nina that we are supposed to beat now and used this in stead, then you would have seen a significant prolonging of temperature stagnation/decline just the same. Bob???!!!?! You of ALL people must know that the temperature effect of the La Nina is far most yet to come!!! What are you thinking? Whats driving you to write nonsence beyond words like this? And then you DEMAND that I use my time on your stuff again and again every time I post. In the future, please focus on one (or two) important issue if you find something, if you will demand that I use time on your things. Wah? Is there a language problem? Do I use a wrong word? What do you mean “I fabricated this” ? ? ? Bob, I cannot reproduce the strongest La Nina measured from 1917 just like that, In stead I could have picked the very strong 1988-9 La Nina or the not so strong but longer 1999 La Nina. Bob, what ever kind of strong La Nina Now will result in prolonging of temperature stagnation for years, or even decline. This is a challenge to AGW succes. Is this so hard to accept? And then you again and again want to drag in my UAH-article, and I seems you still haven understood that YOUR main protest here has flunked TOTALLY, perhaps I have been too kind with you in my comments at hidethedecline.eu so you did not notice. Frank Lansner: Regarding your January 25, 2011 at 12:10 am reply, you suggested I search the internet in response to my repeated requests for the sources of your claim that there are “many” who predict a multiyear La Nina. Thank you for confirming that you have no source for your claim. Your entire post rests on your statement, “And the La Nina – allthough predticed to weaken during spring time – is by many predicted to match the 1999-2001 La Nina.” Without that statement, there was no reason for you to create your “simulated 1999-2001 La Nina graphs”. You keep attempting to redirect the conversation to La Nina strength, but that is not the point being discussed. We are discussing your claim that this ENSO event will turn into a La Nina “that many predicted to match the 1999-2001 La Nina.” There are no official predictions to date of a multiyear La Nina comparable to the 1998/99/00/01 La Nina. None exist. Your post has no basis in fact. And you still have not described how you “simulated” the multiyear La Nina you tacked on to your graph for 2011-13. Please do not refer to or link my posts, please do not refer to me by name, and please do not link to or use my graphs in your posts. If you adhere to my request, I will have no need to return to your website and find error with what you’ve written and presented. So the really important thing in this article you say is, that I wrote “is by many predicted to match the 1999..” THIS is then what legimizes your intense writings that my article is “nonsence” etc? You are aware that the giant La Nina far above all are the 1917 La Nina? And that NASA and BOM suggests that the present La Nina effect might be even larger? When i wrote “is by many predicted to match the 1999..” , It was because the new La Nina by NASA and BOM should not only match the 1999 La Nina, but the new La Nina should possibly be able to match ALL La Ninas recorded, incl the 1999. Bob, if your problem is, that I have reffered (allways very possitively!!!!) to your work now and then I will reduce this to a minimum, no problem. But remember, the UAH-UHI article on Watts to begin with had nothing to do with you. It was yourself who in that context again and again forced me to look at your findings, no one else. 2) geographically where we should expect UHI on land. But there are no reliable consensus data for 2) and you have not been able to come up with anything better than your hunch on where to find UHI on land geographically. A hunch that more and more appears to have been flat wrong by the way. So you strongly demand for me to compare with a dataset not available. The best we have on where to find UHI is from Steven McIntyre, that UHI is a population growth related size. This also appears from Thomas Karl data. And im working on a much more detailed writing on this now, so as often seen, these not always pleasant discussions lead to something good. Frank Lansner: Again, you are mistaking strength for length. You fabricated your claim of “many” predictions of a multiyear La Nina event. Why do you keep trying to change the subject? You do this each time I point out a problem in one of your posts. I understand what that means, and so do the other readers here, Frank. The 2010 “near record” was caused by careful blindness on GISS’s part to the La Nina which started in about August 2010. The climate alarmists wanted a near record so bad they could taste it. GISS waited until December to see the effects of the La Nina when it was too little and too late to do much cooling. Letting a group with such a stake in CAGW collect and ADJUST the data is a conflict of interest ! Will the fox guard the chickens well ? Bob , If you postulate that this message of this article is radically changed because the example i used was a medium strength multiyear La Nina and not a SUPER La Nina like 1917, I just dont agree. And because the 1998 La Nina was a mulityear La Nina you just out of the blue insists that the 1999 should have had significantly much more cooling effect than the 1917 SUPER la nina. Can you backup this claim somehow, or is this also just a hunch of yours? -And I dont accept that it again-again takes you so many grotesk faulty error claims for you to pinpoint what it “really” is you now believe is an important problem. – And Bob, I dont have UAH, RSS data for 1917 so I simply cannot show the MOST relevant La Nina on my graph. The best choice honestly I believe is the 1999, since it afterall had a long duration. A LOT of ammunition of cold water still, so even though the strength of La Nina is predicted to take of to some degree, still no sight i El Nino or definete end of La Nina in sigth stil for quit a while. I dont know what shape and duration we will see, just that its a biggie, no more no less. This is another failed attempt by you to change the subject. This reply has nothing to do with the subject being discussed. I did not say that this La Nina won’t become a multiyear La Nina, and I did not say that it would. I don’t make predictions. DO NOT, (do you understand that? ), do not attribute something to me that I have not said. The topic being discussed is what you wrote in the post. It was, “And the La Nina – allthough predticed to weaken during spring time – is by many predicted to match the 1999-2001 La Nina.” There are no official predictions of a multiyear La Niña. [snip] You misled your readers. The subject is what effect a huge super La Nina would have on tempereature trends and if global warming agenda can survive this. Your personal subject about if the comming La Nina should be of one type or the other is your own topic. We dont know what type it will be. You have not even remotely argued that for example the netto effect of the 1917 super La Nina should be significantly smaller than the netto effect of the 1999 La Nina and thus made your subject just a little relevant. Bob if your intensions here are in fact good and relevant, I will ask you to hereafter use email fel@nnit.com and spare Watts and co. There is NO prediction of a “a huge super La Nina”. No. This is the forum you elected. This is where the discussion will remain. So, Bob according to your final (?) error suggestion, you claim that I am “misleading people” no less. This article is to show possible temperature trends in case of a very powerful La Nina now. And if this article is “misleading” I guess you mean that the temperature graphics ends up showing significant colder trends than you expect? And this due to the fact that the La Nina in the example was a multiyear La Nina? And you would have preferred a single year la Nina in the example? So Bob, you have to tell these people that they are misleading people, hurry, Bob, lot to do out there. And remember to tell them that its all “nonsense” too. So, the 1917 La Nina, that we are predicted to challenge now had SOI avg. 25.0 while the 1998 La Nina had just 11,5 . And if you accumulate SOI for the 1916-17 period and hold it against SOI for 1998-2000 you will see that the 1917 is still over doublle the effect of the 1999. (ok, this graphic is only july-dec). So Bob as I have said before: When I chose the 1999 La Nina, it was NOT to “mislead” people. It was to be conservative! Had I used the more relevant 1917 La nina like effect, the temperature trends pn the graphics in the article would have been even colder. You use a LOT of energy here so this “error” here must really have a big big impact. 1) in what way I have “misled” people. 2) how big impact this “severe” error has and why. I first used the word misleading about your post four days ago, Frank. Others have used the verb mislead in some form about your post also. On the same day, four days ago, I also asked you for links to the “many” official predictions of a multiyear La Nina. And you replied today with a link to a blog and a link to a Hindu Business Line article, and a link to a commodities story at the Financial Times. I guess three constitutes many. If you had provided those links four days ago, you would have clarified that the basis for your post was not an official prediction, but unofficial speculation. The author quoted from an 11-year-old story to add credibility to his article. And that’s why I asked you for official predictions. You still haven’t answered the other question I asked four days ago. Here it is again: Also how did you “simulate” the effects of a new multiyear La Niña? Splicing some new wiggles onto the spreadsheet is meaningless without an explanation. Please explain using one dataset. One last thing: You placed quotes on “misleading people”, and you attributed them to me. While I have used the word misled or misleading on this thread numerous times about your post, I have not used those two words in that order on this webpage. DO NOT attribute something to me that I did not say. Hi Bob, Thanks for discussing, im working on new article now, and I dont see much scientific gain by continuing discussing here as honestly i think we are meeting a little – i say optimistically. I interpret your last writing as if I may have misunderstood your intention with the word “misled”, and this is fine with me. All anyone has to do is include the 1998 data to show that you hid the incline. “You hid the incline”.. sounds as if i actively should have hadhidden something?? And in this – the relevant – context, moving the inserted 1999 La Nina a month or 2 to the side obviously has no or very little impact on what this article is about: The long term trends resulting from a strong La Nina dive. In fact cutting of the jan or jan-feb makes the trends fo even colder. So again, you do some effort so show something that has zero relevanse for the subject in this writing. And then as earlier you come up with your repeatedly dramatic conclusions, this time “Frank, you hid the incline” which is complete nonsence. I pasted in a La Nina to see effect on long term trends, not to fiddle with an irrelevant smooth transistion. Choose one or two issues if they are really there, and focus on these. This way I as the author have a much better chance not to overlook anything and this will give me a fair chance to answer things. Check if someone has predicted multiyear La Nina now before claiming that they havent. Check if someone has predicted a super La Nina now before claiming that they havent. Check if the incline thing you show has any chance of affecting anything significantly before concluding anything. Check that i have actually used poly-trends to predict aything before claiming that i have. And most important before telling anyone that Frank has “misled” Frank has “hidden” Frank ” there are no ‘La Niña claims’. You fabricated this.” you have to be very very sure that you have a solid foundation, because your tone is very harsh and unkind. But YOU can’t simulate a big La Nina unless you have accounted for the rise in global temperature between the 1999 and now. You didn’t move the 1999 La Nina a few months. You moved it 12 years. And to account for the difference you don’t need to shift it from month-to-month, you have to shift it up. You would have to shift that dataset up 0.07 deg C during 2011-2013 before you did your trend analysis. That’s the error in that part of YOUR post. …and this is something you would have to do if you were being honest with your readers. Due to this and several other reasons indeed we can’t predict how the next years temperatures will be with some precision. First of all of course because we don’t know how the La Nina will be, and yes the underlying trends in temperatures counts too etc. etc. and ocean currents you name it! This is why it make no sense at all to do what you do making some details-fiddling when splicing the La Nina part onto 2010 or any other detail-fiddling you might suggest here. Use http://www.google.com , Key in “multi year La Nina” and then comes on first side a hand full of relevant links and you would not need to bring that subject up in the first place. At least, no need to wait 4 days. You misunderstand. I was talking about If the insertion of the 1999 was moved a month or two from where I put it. I have no way knowing which of all your subjects is the important ones. I have done a large effort answering all (!) so just in the future cut it down to one or two, this would help all aspects of the dialog. As I said, it is much easier to miss something when you shoot in all directions and I have to resolve one misunderstanding after the other. So in the future: please only few but solid subjects. Then after I have mentioned your sad unkind and harsh tone, you now suggest that im not honest. I have shown simply and roughly that some kind of strong super La Nina now will significantly prolong period of no warming. I did so without using the impact of a super La Nina like 1917 so I have certainly not exaggerated things, you should be aware. This is not relevant to the subjects being discussed. It is not detail fiddling. It is presenting the data properly. WHY is your website named HideTheDecline, Frank? Because scientists misrepresented the data. And what do you do? YOU misrepresent data. I did that the first time you suggested it and I told you there were no official predictions of a multiyear La Nina, Frank. I keep telling you that but you continue repeat the same answer. I looked for one, Frank. There aren’t any. I explained why this was the wrong thing to do already. Why are you explaining what you meant? I asked you two questions at the beginning of this thread. You refused to answer them. I repeated those questions. You refused to answer them. You are the one who changed subjects. It was you who created the confusion in an attempt to mask your errors. Bob: ” there were no official predictions of a multiyear La Nina, Frank”. Does not make it relevant to make the graphs with the modest multi year La Nina 1999 or? Even though ONE brief look at the La Ninas shows that it is the NORMAL situation that large La Ninas are multiyear. Still we should have chosen a single year????? And by the way, you suggestes that I adjusted the level of te inserted 1999 La Nina up, because you say that the global temperatures has gotten warmer in the last decade. If you demand of me that I adjust for some smaller change in global temperatures, then i would like to know how much warmer you believe it has become in the last decade? Do you believe that your suggestion of temperature rise would be generally accepted by for example the sceptics at WUWT? Or are you saying that before any one can make an illustration of a modest La Nina inserted we first have to debate how much warming there has been in the last decade? If any? Frank Lansner: You quoted me, “there were no official predictions of a multiyear La Nina, Frank”, and your reply does not provide official predictions. You’ve linked and quoted a couple of posts from blogs and newspapers. They are not official predictions. LOL, Bob, you come a week after the dialog ended and goes “Goodbye Frank” ….. ! If there are “official” opinions that the present La Nina will be single year, could you yourself present these? -> Multi year La Ninas are the NORMAL for strong La Ninas. -> We have a strong La Nina now. Therefore a blind demand of me using a single year La nina is truly bizarre.